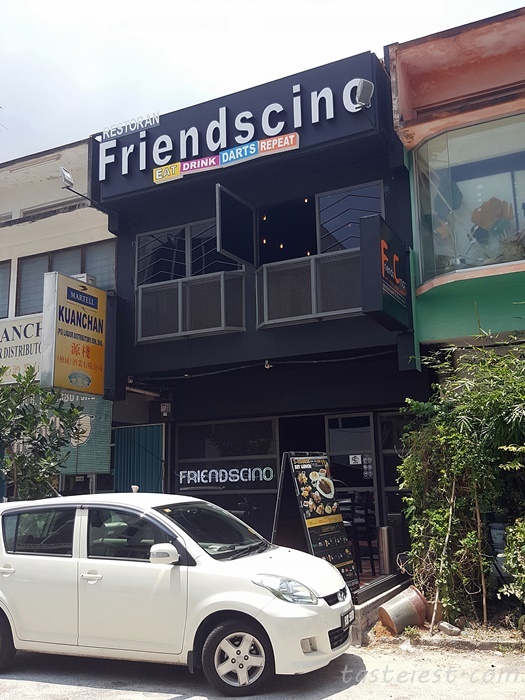 The popular Friendscino Darts Bar and Restaurant landed it first outlet in Pulau Tikus Penang. 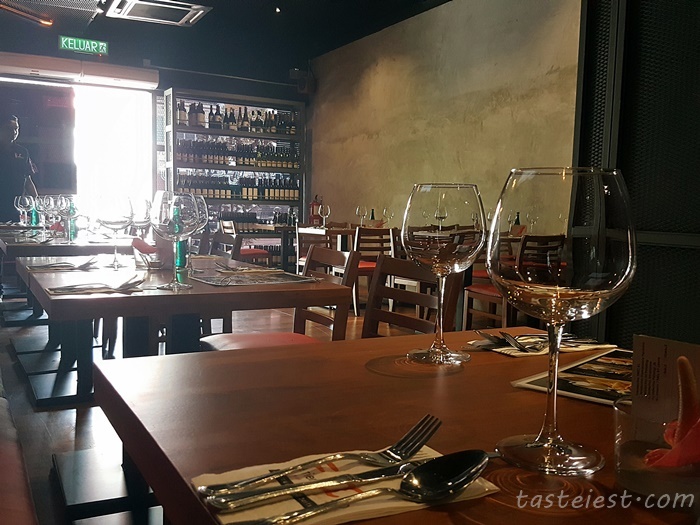 Extensive food menu with great selection of wine list available after fun time of dart game. Second floor are fill with darts game console with a open bar and private room. 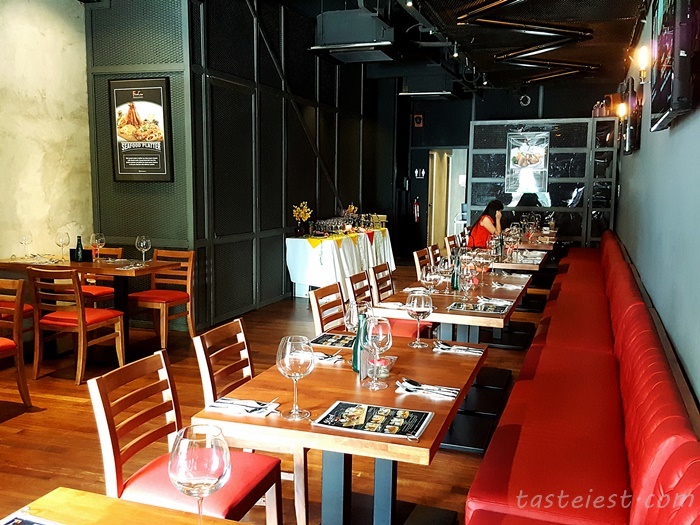 The restaurant ambient is very warm, friendly, classy and comfortable. Ideal place to impress your hot date. 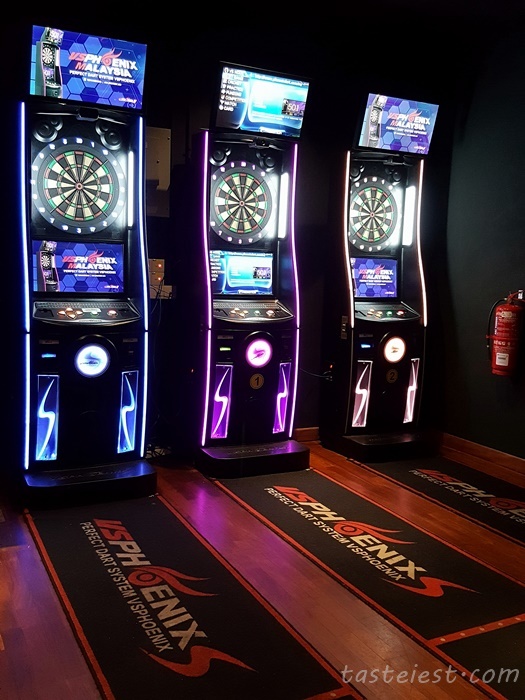 Dart game are fun especially challenge by friends, electronic dart has become more popular and it is more systematic and point calculation system definitely help. FC Watermelon Love RM40, WAIT! Did they just served a whole big watermelon? This is a little bit unexpected! 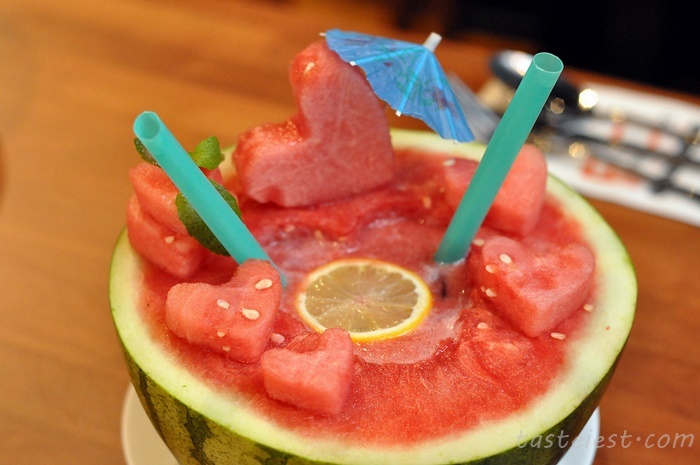 In side the watermelon are fill with mix Vodka, Midori, Lychee Liqueur and Watermelon. FC Sunshine RM40, another big fruits and this time we had Pineapple. 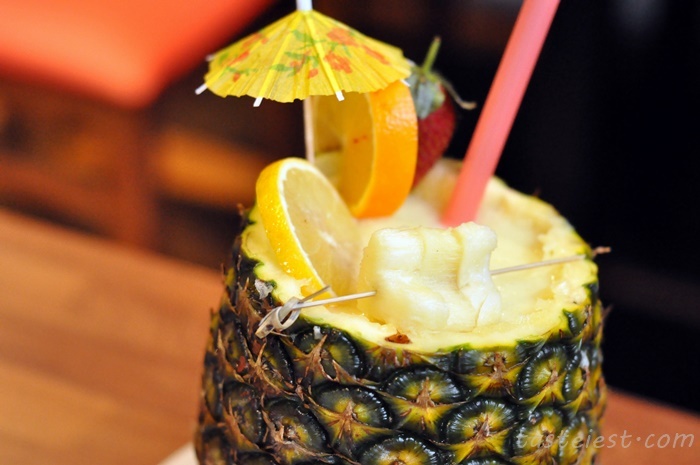 Mixture of Smirnoff apple vodka, frangelico, organic raspberry jam and fresh pineapple. 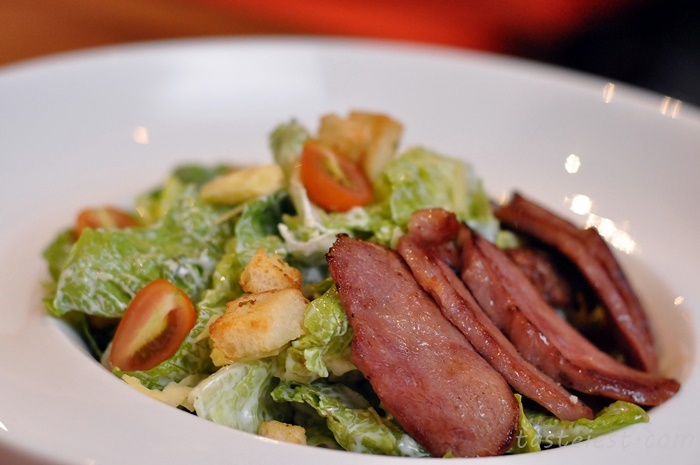 FC Homemade Caesar Salad with Smoked Duck RM20, fresh crunchy romaine lettuce and crouton dressed with Parmesan cheese served with smoked duck breast. Great balanced of salty and acidity flavors from dressing, smoked duck are extremely well prepared and pack a punch of flavor. 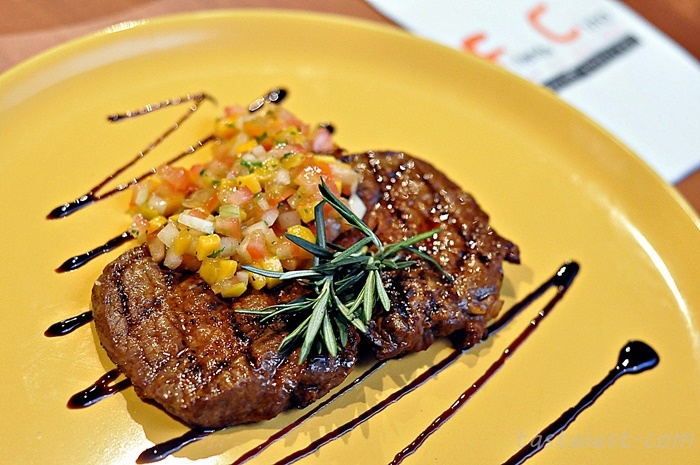 Australian Striploin Meltique Beef 200GM RM60, fine grade of Australian beef grilled to perfection served with mince onion, tomato and mango. 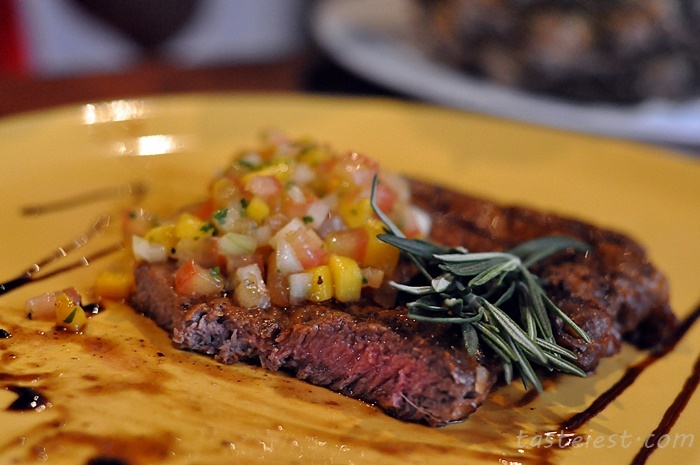 The beef were some of the most tender I ever try, easily cut and bite. 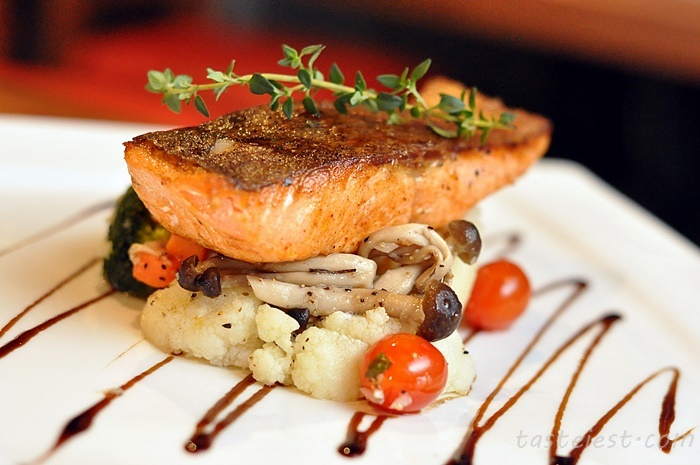 Teriyaki Fresh Salmon Trout RM40, pan fried fresh salmon trout with sauteed vegetable and mushroom. 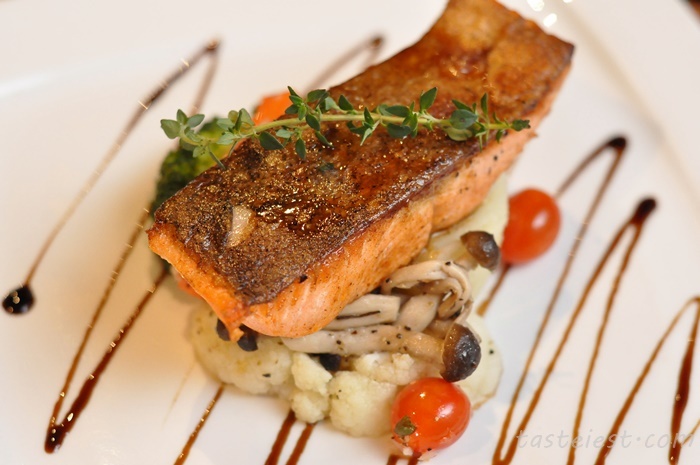 A good piece of Salmon just need simple preparation, chef nail it with just pan fried to make the crispy skin with juicy meat. 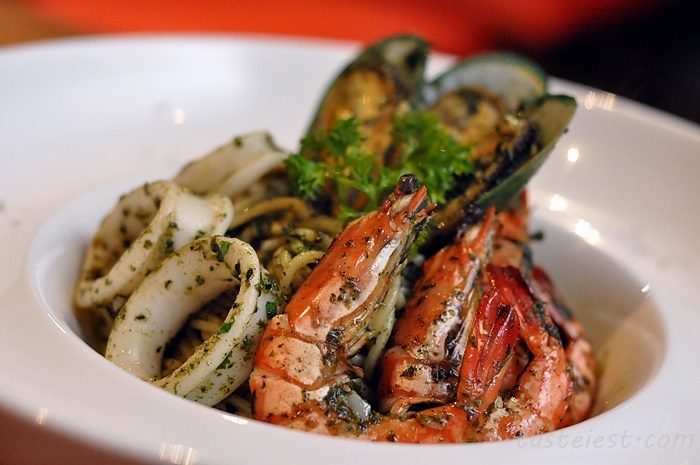 Seafood Pesto RM24, made by crushed cheese, garlic and herbs together. 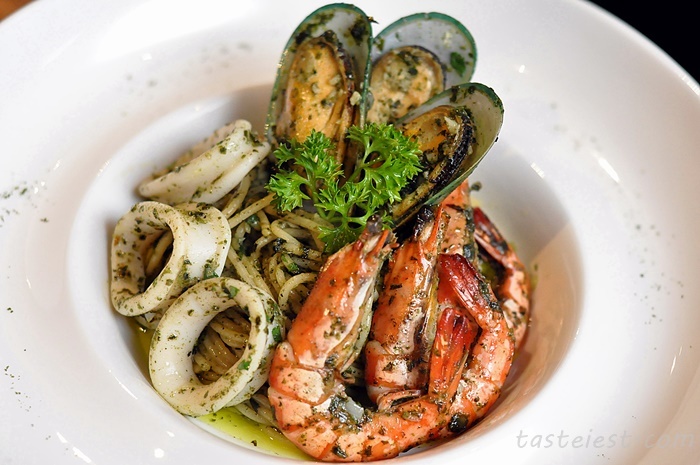 With Basil leaves as main ingredients together with seafood such as clam, squid and prawn. Pasta are cook to el-dente while the Pesto taste extremely well, usually Pesto sauce tends to taste strong but in Frienscino they make it to mild flavor that allow me to easily finish one whole bowl of Pasta. 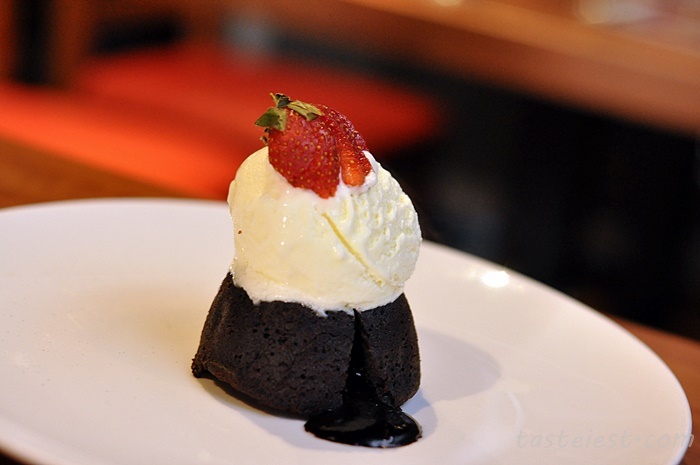 Chocolate Lava RM22, looking for fancy food presentation to impress your partner? 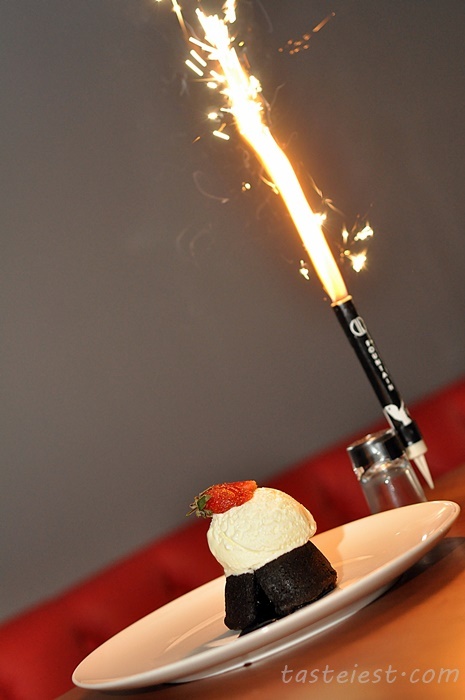 Chocolate Lava with Fireworks is a must order, lighting up the firework while serving hot chocolate cake is really impressive. Chocolate cake itself are very smooth in texture, combine with the bitter taste from dark chocolate create a perfectly balanced taste. 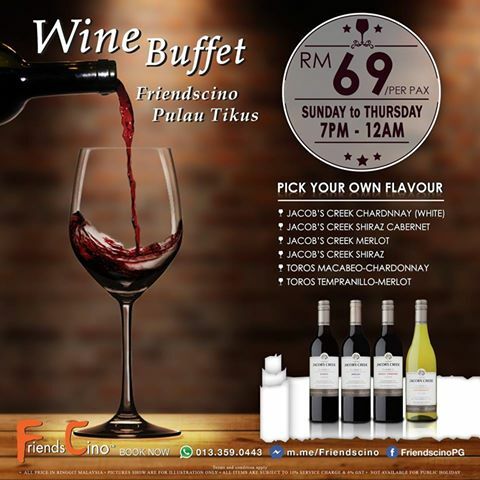 Enjoy a night of free flow wine for just RM69/pax, 6 different wine up for selection and you can enjoy from 7pm to 12am on Sunday to Thursday.